Superman may be the Man of Steel, but he's no Death Dealer. Comic books featuring the debuts of Superman, the Joker and Catwoman fetched hundreds of thousands of dollars at a Chicago auction Thursday, but the star was undoubtedly a painting by science fiction and fantasy artist Frank Frazetta. 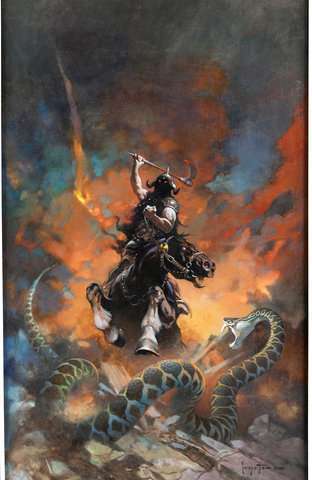 Heritage Auctions says Frazetta's "Death Dealer 6" painting sold for a whopping $1,792,500—a record for one of his paintings and three times the $600,000 it was expected to get. 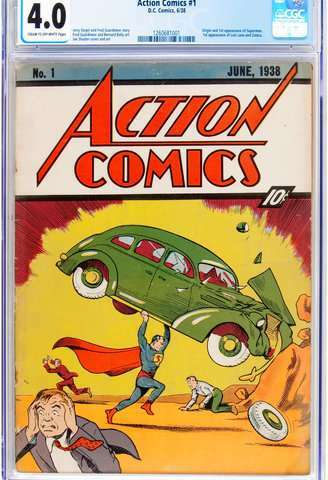 A 1938 Action Comics #1 in which Superman debuted sold for $573,600—not the $650,000 the auction house thought it might go for but still a nice payday for the collector who bought it for $50,000 15 years ago. A Batman comic book from 1940 in which both the Joker and Catwoman debuted sold for $227,050.